Published by Linda Nordberg 7 April, 2019 in Meetings. Intensive work is underway to finalise the organisation of the big IAGG-ER congress on gerontology and geriatrics, which will be held at the Swedish Exhibition & Congress Centre in Gothenburg in May. Boo Johansson and Marie Kivi are two of the key organisers of the congress. The planning of The 9th International Association of Gerontology and Geriatrics European Region Congress, abbreviated as IAGG-ER, is in full swing. Boo’s role is Congress President, while Marie, as Deputy General Secretary, has the task of coordinating a complex network. Normally, when they’re not involved in planning the congress, they work at the University of Gothenburg as lecturers and researchers on the subject of ageing. Among other things, they study the effects of ageing on memory, cognitive ability and psychological health. The process started in 2014 after the 24th Nordic Gerontology Congress was held in Gothenburg. Following the big success of this congress, the idea was hatched of Gothenburg also hosting a European congress. “That was how it started, as a result of the experiences from the 2014 Nordic Gerontology Congress in Gothenburg. The congress had been a huge success in all respects, and we felt we could do it again,” explains Boo. AgeCap, the Centre for Ageing and Health at the University of Gothenburg, was also involved in the process. AgeCap had recently been established, and the European congress would serve as a means of promoting the University and everyone involved. In conjunction with this, the Gothenburg Convention Bureau contacted Boo to ask if he would work on helping to bring the European congress to Gothenburg. Several parties suggested that we host this congress in 2019. The organisation decided to seek support from the European organisation IAGG-ER. The organisation also contacted PCO MEETX, the meeting organiser that helped to organise the Nordic meeting. “Things proved more challenging than expected, since all the available funds had been used up by the previous IAGG-ER congress. Finding funding was a challenge right from the outset. One might wonder why we would choose to organise this type of event, given the financial risk. But in academia we’re motivated by other driving forces such as generating opportunities to network with colleagues and promote our research projects,” explains Boo. IAGG-ER is held every four years. During the 2015 congress, Gothenburg won the hostship in competition with Málaga, which had Antonio Banderas acting as ambassador for his home city. The decision to hold the 2019 congress to Gothenburg was taken at a council meeting, where delegates from all member states and organisations voted on the matter. The organisation succeeded in convincing the council that Gothenburg was the best and most obvious choice for the next congress. “That was definitely a wonderful acknowledgement. It meant a lot for those of us who were involved, and we also realised how it would benefit AgeCap. We will get exposure far beyond the University of Gothenburg and Sweden. I think we’ve been successful in marketing the congress internationally too. It’s a win-win situation organising this type of meeting,” says Boo. “Since Gothenburg was elected to host the congress, we’ve attended several other international congresses, such as the IAGG World Congress in San Francisco in 2017. We also visited the Nordic meeting in Oslo in 2018 to market the congress in Gothenburg,” says Marie. Boo and Marie believe the main reason that Gothenburg was chosen to host the IAGG-ER was the success of the Nordic congress in 2014, an experience shared by many of the delegates who voted. Another contributing factor is Scandinavia’s reputation for high quality and good organisation when it comes to meetings and congresses. “We also appreciate the fact that Göteborg & Co provided initial support and helped produce marketing material for the congress. The congress is about ageing, covering a wide range of aspects such as what happens in our cells and what happens in society as people age. Because of this, many different scientific disciplines will be involved in the congress to cover all aspects of ageing. “In order to age well, our cells have to work well, and so does the social system. This is the theme for the congress: “Capability in ageing – from cell to society”. Boo points out that with regard to ageing, society often tends to emphasise negative aspects. This manifests in prejudice and discrimination, a phenomenon known as ageism. He believes it is important to ascertain what people’s actual capabilities are later in life, and to challenge actions and attitudes that are based on people’s chronological age rather than on their actual capabilities. Besides the many parallel sessions held during the three days of IAGG-ER, various activities will take place on open stages during the breaks, where organisations will have the opportunity to present themselves and their work. “A wide variety of activities will take place on the stages during breaks and at lunchtime. For instance, music will be performed by Margaretakören, a choir where older people and children sing together. There will also be a fashion show presenting fashions for older people. While these things aren’t strictly scientific, they still contribute to the conditions for ageing well,” explains Marie. In conjunction with IAGG-ER in Gothenburg, a World Council Meeting will be held for the whole international organisation. “It’s always a challenge holding meetings within meetings,” says Boo. “But in this case it will help us attract participants from all over the world to the scientific programme. The congress will rely on a large number of voluntary workers for its implementation. Volunteers of all ages, from students to pensioners, will contribute their time and efforts to make the congress as successful as possible. Boo and Marie are confident that the volunteers will also gain many new and valuable experiences from their involvement. As during the European Stroke Organisation Conference(ESOC), hosted by Gothenburg in 2018, many additional public activities are being planned outside the congress venue. Årsrika, a photographic exhibition, will be held at Gothenburg City Library. It presents elderly people with different backgrounds and experiences. 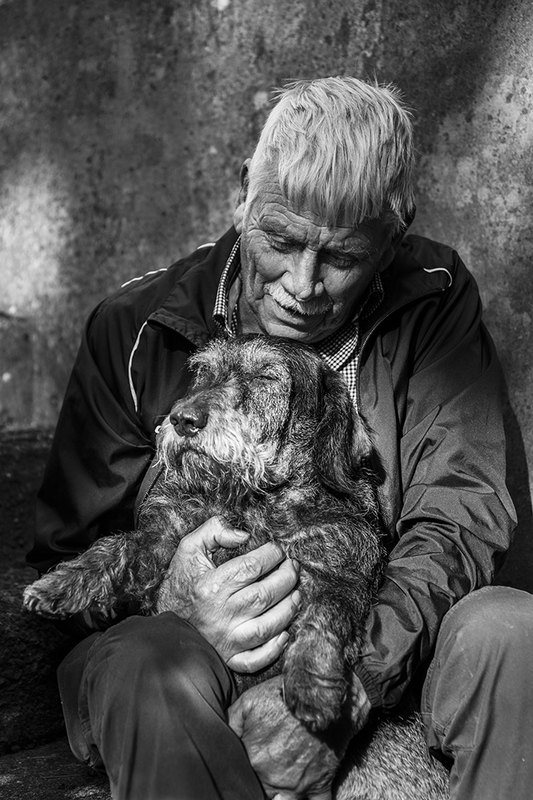 The photographs illustrate different aspects of people’s lives, telling stories of joy, love, happiness and death. Parts of the exhibition will also be shown in other locations around Gothenburg. The Carin Mannheimer Award is awarded to emerging scholars affiliated with AgeCap for all types of research on ageing. The award will be conferred during the congress. After the award ceremony, the winners will go to Gothenburg City Library, where they will be presented along with previous years’ winners. In addition to this, the organisers hope the congress will receive coverage via the press, radio and TV in order to reach a wide public. Nearly 1,300 participants have registered for the congress to date, but this figure is expected to increase. Boo and Marie hope that about 1,500 people will participate. While meetings held in the Nordic region tend to be of high quality in terms of content, logistics and technology, there are many potential obstacles. “If you look at the expense for the individual participants – the whole package, travel, accommodation etc., it is very costly to take part. Moreover, in this type of broad congress, which covers a wide number of areas, it can be difficult to motivate people since they also need to attend smaller, more specialised meetings in their own area of specialism,” explains Boo. The organisation would like to see many junior researchers at the congress, as they would benefit enormously from it. “Of course we offer a discount for pre-PhD researchers. It’s always a challenge to make congresses accessible to junior researchers with limited financial resources, even though it is this generation that will ultimately lead future research. However, a larger number of students have registered for this congress than previously,” says Boo. Most of the registered participants are from Europe, but there are also participants from South America, USA, Canada and Australia. “Region Västra Götaland is a partner that has provided a lot of funding and staff for the congress. The congress offers a valuable opportunity for training staff locally,” says Boo. “The same applies to the City of Gothenburg,” adds Marie. They have an option for participating with 200 staff members, who could benefit greatly from taking part. Based on our planning experience, both of us recommend that Region Västra Götaland and its bordering municipalities take advantage of this type of meeting as a means of offering their staff advanced training, and to encourage local research and development. – …an amazing congress, the best ever! “We want them to feel it was an amazing congress, the best ever! They should go home with many new ideas and new contacts. They should feel it was well organised,” says Boo. Published by Linda Nordberg 4 April, 2019 in Meetings. When the Gothenburg Symphony Orchestra recently gave a guest concert at the Berlin Philharmonie, the Gothenburg Convention Bureau took the opportunity to visit Berlin together with staff from the Swedish Exhibition & Congress Centre. Whilst there, they visited several customers and invited strategically important partners to the concert. To strengthen relations and promote Gothenburg as a meeting destination, visits were arranged with several professional conference organisers in Berlin. These visits provided an opportunity to present Gothenburg’s strategic plan drawn up in partnership between industry, academia and the city, which will provide a basis for future efforts to promote Gothenburg as a destination for conferences and meetings. The conference organisers were also invited to the concert given by the Gothenburg Symphony Orchestra. “It was extremely valuable for Gothenburg to have this opportunity to invite strategic business partners to hear the Swedish national orchestra, especially in Germany, where there is a long-standing interest in Sweden and Gothenburg. This will strengthen Gothenburg’s position as a meeting destination by proving that we can deliver world-class events,” says Ulrika Scoliège, project manager at the Gothenburg Convention Bureau. During the concert intermission, Sten Cranner, General Manager and Artistic Director of the Gothenburg Symphony Orchestra, gave the guests an exciting presentation of the orchestra and its history. 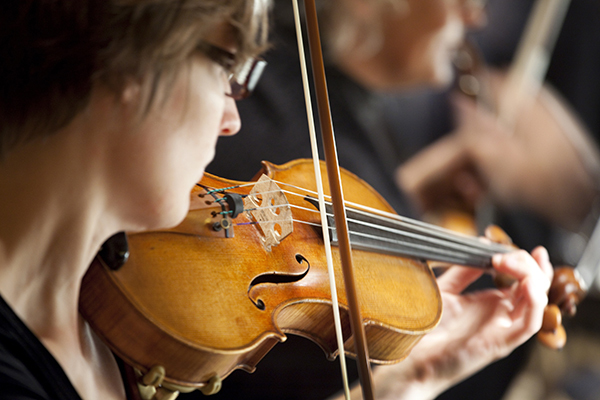 The Gothenburg Symphony Orchestra gives about 100 concerts per year. Besides performing at the Gothenburg Concert Hall and touring internationally, the GSO plays every summer at Götaplatsen square during the Gothenburg Culture Festival and in Slottsskogen city park on 6 June, as well as giving guest performances at Vara Concert Hall. The Gothenburg Symphony Orchestra, Chief Conductor Santtu-Matias Rouvali, pianist Alice Sara Ott and percussionist Martin Grubinger gave guest performances in Stockholm, Hamburg, Berlin, Munich, Frankfurt, Cologne, Vienna and Salzburg on 16 February–1 March 2019. Published by Linda Nordberg in Meetings. With a few days to go before the event of the year in Gothenburg, intense preparations are underway and expectations are high. The Associations World Congress & Expo (AWC) will be held on 7–10 April at the Swedish Exhibition & Congress Centre in Gothenburg. Close to 500 participants are expected to attend the AWC, and everyone involved is hard at work preparing for the congress. The AWC is an annual congress for leaders from international organisations. This event offers great opportunities to showcase the city and its strengths while reinforcing Gothenburg’s position as the ideal city for meetings. Industry press representatives from all over Europe are expected to visit the congress. This will be the first time that the AWC is held in the Nordic region, providing an excellent opportunity to showcase the Nordic market. The Nordic Pavilion is the only place at the Gothenburg congress where this will be done. There are many advantages of participating in the Nordic part of the exhibition. It is an opportunity, on the one hand, to present the best the Nordic region has to offer, and on the other hand to introduce the possibilities of holding future congresses in the Nordic region. The general theme this year is Midsummer, and participants will be invited to social activities with a Nordic touch. There has been enormous interest in the Nordic Pavilion, where all the spaces sold out a long time ago. More than 60 speakers have been booked, including Paul Welander, Senior Vice President Volvo Car Group, and Laura Sprechmann, Deputy CEO Nobel Media. Among other things, participants will learn how public activities organised during the European Stroke Organisation Conference (ESOC) contributed to the conference’s success, and how to effectively promote a scientific conference to the public. This subject will be addressed by speakers Turgut Tatlisumak, Professor of Neurology, and Christian Blomstrand, Senior Professor of Neurology, both from the University of Gothenburg. Guy Bigwood, Director of the Global Destination Sustainability Index (GDS-Index), has long been a leading name in sustainability. In 2015 he started the annual Global Destination Sustainability Index to drive the development of sustainable destinations in the business tourism and events industry. Since 2016, Gothenburg has enjoyed top ranking in the GDS-Index, where the city is rated as the world’s most sustainable destination. Today, over 50 destinations are ranked in the GDS-Index. Those who have registered will be able to follow parts of the congress live online. As the world’s most sustainable destination, it is natural that we should set a good example. For this reason, it was decided at an early stage that the AWC would be certified according to the Swedish Environmental Base (Svensk Miljöbas). One of the environmental aspects for gaining the certification is the food that will served to the + 400 participants. A large proportion of the food will be made with organic and locally produced ingredients, and only vegetarian meals will be served on one of the congress days. Great efforts are also being made to minimise food wastage at the congress. Moreover, each participant will be provided with a water bottle and encouraged to drink tap water. After the conference, participants will be invited to remain in Gothenburg for an extra day to explore more of the city. Participants who stay on for this Destination Day will learn more about Gothenburg and its strengths, for instance how Gothenburg works to attract conferences and meetings, and about the city’s strong partnerships in the field of research and development. AstraZeneca and Lindholmen Science Park are two of the places that participants will visit during Destination Day. The Associations World Congress & Expo is an annual international congress for managers and decision makers in strategically important congress organisations. This is the first time the congress will be held in the Nordic region. Published by Stefan Gadd 20 February, 2019 in Meetings, Trade and industry group. AstraZeneca works proactively with Göteborg & Co to recruit large, international medical congresses to Gothenburg. This unique partnership began a couple of years ago and has already generated good results. AstraZeneca research centre in Mölndal, south of Gothenburg. 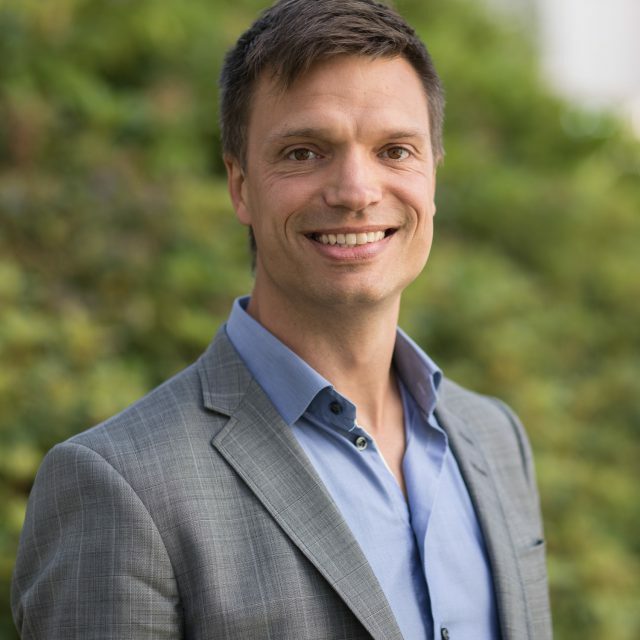 “Congresses boost Gothenburg’s image as a regional centre for research and help to attract the skills that will continue building excellence,” says Matti Ahlqvist, Site Director at AstraZeneca. At AstraZeneca’s research centre in Mölndal, south of Gothenburg, only about 50 per cent of newly recruited researchers come from Sweden. The other half come from abroad, and their skills are in demand in many parts of the world. This is one reason why it is so important that the Gothenburg region remains competitive. In 2016, plans were drawn up to enable AstraZeneca and the City of Gothenburg to work together to attract international medical congresses. A close partnership was established, together with Gothenburg Convention Bureau at Göteborg & Co, with the aim of identifying potential congresses. This is a long-term process. Convincing an international organiser to hold a congress in Gothenburg can take several years. But the partnership has already delivered results, not just by attracting new congresses. Meetings are vitally important for Gothenburg, and in 2018 the municipal council set Göteborg & Co the task of developing a strategic plan to support city-wide efforts to attract scientific congresses. The aim is to further enhance Gothenburg’s reputation as a city for meetings and create better opportunities for local research, entrepreneurship and sustainable growth. The plan was agreed last autumn and one of the factors for success that was identified is closer collaboration with business and academia. Several of the global companies in the region have therefore been involved in the process of identifying and attracting meetings. There are 2.000 researchers from 50 countries working at AstraZeneca. Only half of them from Sweden. Collaboration with Göteborg & Co has been rewarding for everyone involved, says Matti Ahlqvist – for the city, the region and the company. Published by Linda Nordberg 3 January, 2019 in Meetings. Ivica Crnkovic is the meeting ambassador who brought the International Conference on Software Engineering 2018 to Gothenburg, one of the world’s leading conferences in its genre. Ivica Crnkovic is Professor of Software Engineering at both Chalmers in Gothenburg and Mälardalen University in Västerås. He is also a guest professor at the University of Osijek in Croatia. Ivica has an extensive CV; his name appears in more than 200 publications in software engineering. The journey towards what would be the most successful conference in the history of the International Conference on Software Engineering (ICSE) began about four years ago. Ivica had decided to apply to become an organiser at the time that he was moving to Gothenburg to assume his position at Chalmers. He contacted the Swedish Exhibition & Congress Centre to see what was available in terms of conference facilities, where he also met Anna Hylander from the Gothenburg Convention Bureau and then the ball started rolling. “I didn’t know much about Gothenburg at the time, but I wanted to host the conference and knew that I wanted it to be held in Sweden, either in Stockholm or Gothenburg. I was in the process of moving to Gothenburg and when I met with representatives from the Swedish Exhibition & Congress Centre and Göteborg & Co, I understood that outstanding support was available in Gothenburg. At that point I knew for sure – Gothenburg was the choice for the ICSE and nothing else would do,” says Ivica. The discussions about where to hold ICSE 2018 began back in 2013, since the conference rotates between different parts of the world. Some years the conference is held in the US, other years in Europe or the rest of the world, and in 2018 it was time for a city in Europe. The Board of Directors holds a conference to choose the ICSE organiser four years in advance. The candidates explain why they should have the opportunity to organise the ICSE. “Besides myself there were candidates from Madrid, Paris and Dublin. My argument for holding the conference in Sweden was that the software engineering industry in Scandinavia in general, and Sweden in particular, is extremely strong with software companies and companies that develop high-tech products with a large amount of software, such as the automotive industry or telecommunications. In Scandinavia, especially in Sweden, many talented researchers work in the field and collaboration between academia and industry is excellent, which is not that common. Despite fierce competition, Ivica was chosen to be the organiser. Now he had to choose the location for the conference and present a proposal. “Together with Gothenburg Convention Bureau at Göteborg & Co I formulated a presentation and a budget that was presented to the Board of Directors. Many attractive factors have to be considered. 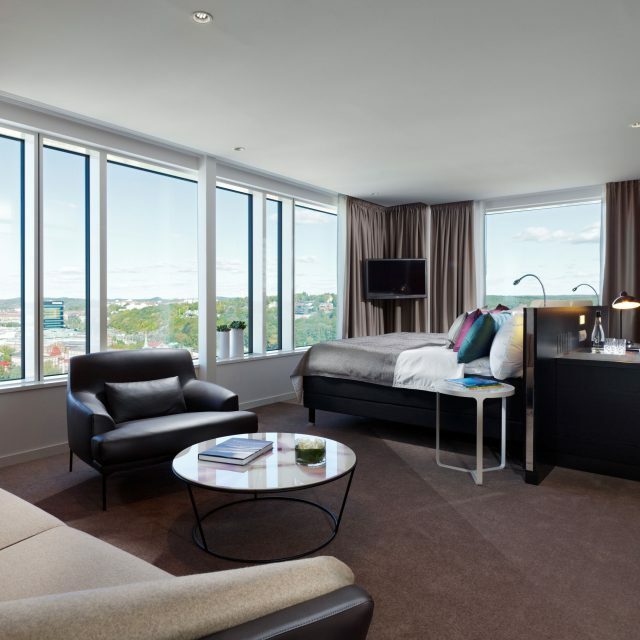 The site must be accessible with enough hotel rooms, and not too expensive. There must be strong researchers and research groups in the region and it is a plus if there is a link to industry. Gothenburg has it all and the Board approved the proposal. Having the opportunity to organise the ICSE is extremely prestigious; those who get to do so are the best of the best,” says Ivica. He compares it with cities who want to arrange the Olympics or World Championships, indicating that it is an extremely important event in the field. In 2018, when the ICSE was held in Gothenburg, the conference celebrated its 40th anniversary and it was also the year that the field of software engineering turned 50. Much of the conference was dedicated to the 50-year celebration. Diplomas were awarded to the organisers of the 40 ICSE conferences. Photo: Håkan Ivarsson. “We had extraordinary guests, such as Margaret Hamilton, who introduced the concept of software engineering when she developed software at NASA for the Apollo moon landing. She is also a Lego character: “famous women in space”. Listening to her was an amazing experience, she became a rock star for the young researchers. In 2018 the conference also broke records to become the most successful edition to date. A total of about 1,800 visitors from all over the world attended the conference and the reactions were extremely positive. “Many felt that Sweden is a fantastic country. The conference also received extremely high marks for organisation and everything flowed smoothly. Many said that they would like to return to Gothenburg. The awesome thing is that many of them return to their top-ranked universities to lecture to thousands of students and say “when I was in Gothenburg….”. Ivica has personally attended every ICSE conference since 1999 and has had the opportunity to see and experience many conference facilities and cities. He feels that Gothenburg holds its own well as a host for a major conference among fierce competition. 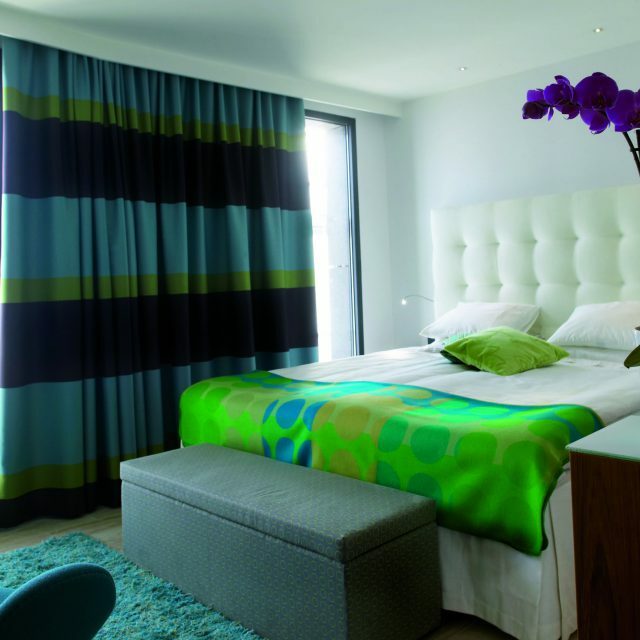 “Definitely, Gothenburg has much to recommend it. There is a great facility for large conferences, and it is centrally located. And as the chairperson of the IEEE for computer science said “…this is definitely the best conference I have attended in my whole life…” The IEEE, the largest international association of engineers and researchers, was one of two principal sponsors of the conference. 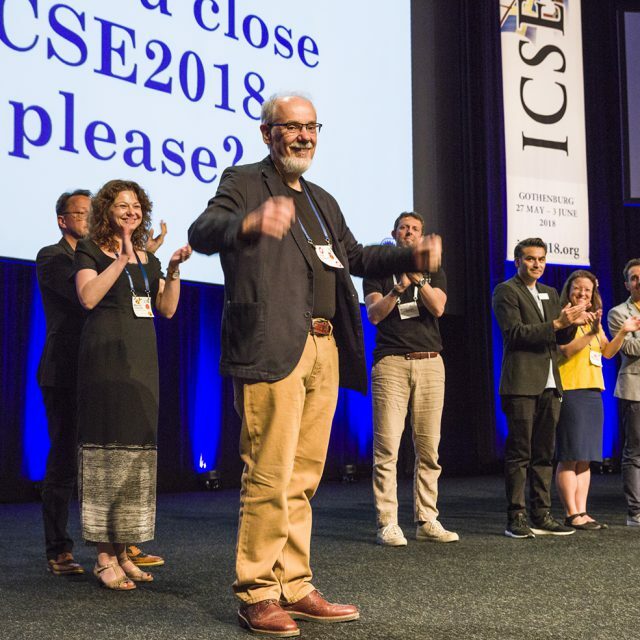 When all was said and done a few months after the conference was held, Ivica concludes that the ICSE in Gothenburg was the most successful edition of the conference to date. “According to the survey carried out during the conference, an impressive 96 per cent of all delegates stated that they were satisfied or highly satisfied. Just as many, 96 per cent, responded that they were pleased with their overall impression of Gothenburg as a destination. And 91 per cent would gladly return for a new conference. Very few participants complained, and when they did so it generally concerned the lack of soft drinks and similar issues. But the vast majority were extremely favourable, including on social media. During the preparations for the ICSE 2018, Ivica and his colleagues encountered quite a number of challenges; lots of work goes into the planning of a big conference. “We faced various types of challenges. One such challenge was to hold an attractive high-quality conference from a research standpoint and to bring in the best researchers to present their work. As above, when organising such a large conference it is also a challenge to get everything to work smoothly. Sweden has a good reputation in technology and delegates who travel here expect everything to function smoothly, without problems. Many delegates bring a couple of computers with them and it is important, for instance, to provide Wi-Fi service that performs well. We organised about 50 parallel events over the course of one week, including a reception and a banquet for 1,100 people. When you attend a conference, of course you remember the presentations, but you also remember everything related to it. Banquet at Eriksbergshallen. Photo Håkan Ivarsson. Despite the challenges, Ivica would still recommend the same journey to others. “Of course I would. A few days ago a young colleague came to ask about another conference. I replied that you have to think of it as though you are doing something for the community and that you are networking. It’s an incredible amount of work since you have to accomplish it outside of your regular duties; you end up just sleeping and working for several months. But it is highly rewarding, so it is worth it and I think it gives good returns. Many people benefit from having large conferences in Gothenburg. When the ICSE was held in Gothenburg it was highly advantageous for Chalmers in general, including for the students. “For Chalmers it meant top-ranked researchers came and opened their eyes to Chalmers and had a chance to see what we do here. It represents a seal of quality for both Chalmers and the city of Gothenburg. We see the benefits when recruiting young yet already highly acclaimed researchers who would like to come here from countries such as the US. Many people also recognise the value of our good relationship with industry. And for our students it was valuable to meet prominent researchers within their field of study. It provides them with the opportunity to expand their networks, which is extremely important in this area. Ivica has just finished writing his report and closing all of the accounts for the Gothenburg conference. “We are currently in the process of tying up all the loose ends in the aftermath of the conference; last week I presented my report in the US. So we can now say that the ICSE 2018 is officially over. Next year the 2019 ICSE will be held in Montreal and I am already fielding questions from the organiser there. I am happy to serve as a sounding board and give advice, that’s how conferences keep getting better and better. For me otherwise the big news right now is that my proposal for an AI initiative at Chalmers has been approved. It concerns a big initiative that will extend over 10 years. An AI centre will be established to bring in researchers and to pursue collaboration with industry. Published by Linda Nordberg 2 January, 2019 in Meetings. After having lived and worked for an extended period in Germany and New Zealand, Ulrika Scoliège has been back at the Gothenburg Convention Bureau since November. She will work to attract more scientific meetings to Gothenburg. Ulrika Scoliège – familiar face at Gothenburg Convention Bureau. Photo: Peter Kvarnström/Göteborg & Co.
“It’s incredibly fun to have the opportunity to return to my old workplace and see so many familiar faces, as well as many new ones. While I was gone, I experienced that international awareness of Gothenburg as a city of meetings has increased and the industry has become more professional. For example, international organisations engage in procurement to a greater extent than previously, using a Core Professional Congress Organiser (Core PCO) who has been arranging meetings for the organisation for a number of years. Considerable effort has been dedicated to creating relationships with organisers and promoting the destination. Consequently, we now have the opportunity to focus more strongly on trying to bring major international meetings to Gothenburg. Once a decision-maker becomes aware of our city, with meeting facilities in the middle of town and walking distance to almost everything, they often realise the advantages of holding their meeting here. “Much has happened during the years I’ve been gone. However, the fact remains that without strong local support from brilliant local researchers, cutting edge industry and politicians who recognise the value of meetings, our work would have been impossible. What I think is the most fun part about this job is the collaboration that characterises the work, and the opportunity to be involved with meeting ambassadors and the local meeting industries in an international environment. Since Ulrika last worked at Göteborg & Co she has worked with globalisation of education on both a national and local level. Published by Linda Nordberg 3 December, 2018 in Meetings. The development of Gothenburg as a city of meetings is making progress, largely due to dedicated individuals in research and academia. Gothenburg is further strengthened as a city of meetings through international networks. For the third consecutive year the city awarded diplomas to people who made meaningful contributions to the city of meetings. In the photo from left: Karl-Gunnar Olsson (Chalmers University of Technology), Ivica Crnkovic (Chalmers University of Technology), Gordana Dodig Crnkovic (Chalmers University of Technology), Håkan Andersson (AB Kontrollmetod), Åse-Lill Törnqvist (Municipal Council Chair, City of Gothenburg), Thomas Sterner (University of Gothenburg), John Bratel (Swedish Dental Society) and Peter Naredi (University of Gothenburg, Sahlgrenska Academy). In order to formally thank and honour people who have been particularly meaningful for Gothenburg as a city of meetings, the Gothenburg Convention Bureau held a ceremony at Chalmersska huset (The House of William Chalmers) in late November. 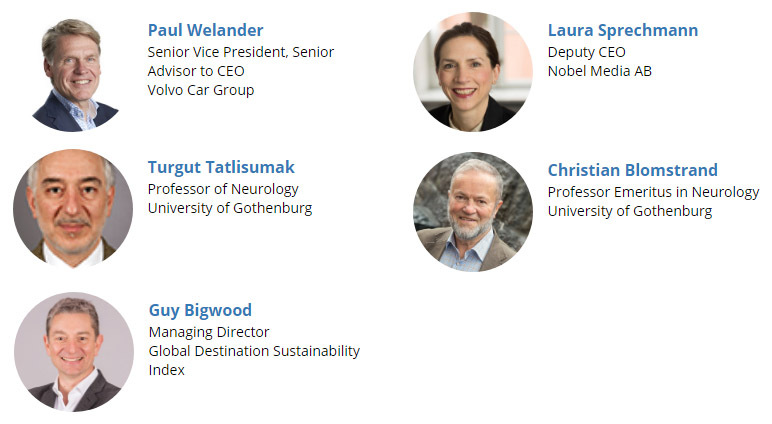 These key individuals, who are active in the fields of medicine, dentistry, software development, environmental economics, architecture and non-destructive testing, all serve as ambassadors for the city and have played a crucial role, through their expertise and reputations, in ensuring that Gothenburg hosts meetings. For the third consecutive year the city awarded diplomas for meaningful contributions to the city of meetings. This year, eight recipients accepted diplomas from the chairperson of the Municipal Council and representatives of the administration at the various institutions of higher learning. Published by Linda Nordberg 19 June, 2018 in Meetings. The world’s largest stroke congress, ESOC (European Stroke Organisation Conference), held at the Swedish Exhibition & Congress Centre in Gothenburg, was a great success. The conference enjoyed an all-time-high attendance and broke all records for the association. More than 4,500 specialists from over 90 countries visited the city. And they were satisfied! The overall impression of the destination was high; Gothenburg scored 6.4 out of 7 in the delegate survey (service, selection of restaurants/cafés, shopping etc. is rated). Almost 80% of the respondents consider returning for pleasure. 88% can also consider recommending Gothenburg as a travel destination to relatives and friends. ESOC enjoyed high media attention both nationally and internationally, and the topic also attracted the public. The Göteborgs-Posten morning newspaper featured Magnus Hesselgren and Ann-Christine Jademyr who both suffered from stroke and their recovery. Several public lectures were held during the week. Among them a public seminar “How can I reduce the risk of stroke?” arranged at the University of Gothenburg, where Magnus and Ann-Christine spoke about their experiences. A team of specialists informed about how to prevent stroke through proper diet and physical activity, and how mental health, stress and music can affect. In conjunction with the congress, all delegates were also given the opportunity to run the Göteborgsvarvet Half Marathon in the Region Västra Götaland start group. Another important part of the program and the congress legacy, was school visits in four secondary schools in Gothenburg. Students in natural science and care programs received visits by congress participants who lectured and raised interest about stroke. 20 of these students also made a study visit to the ESOC congress. ESOC was held at the Swedish Exhibition and Congress Center in Gothenburg during warm summer days in mid-May. In 2019, ESOC is held in Milan, Italy.